If you are looking for a fun Halloween Slime then look no further! 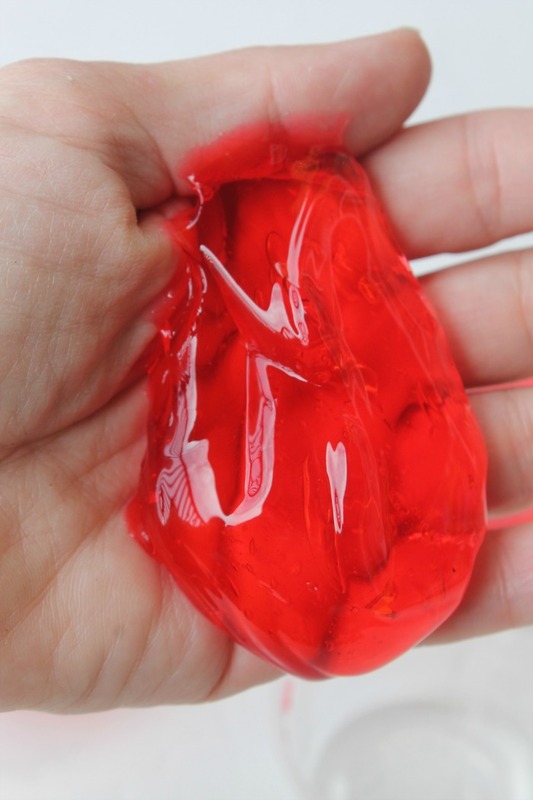 This Vampire Slime is the perfect halloween slime that is so much fun to make and even more fun to play with. 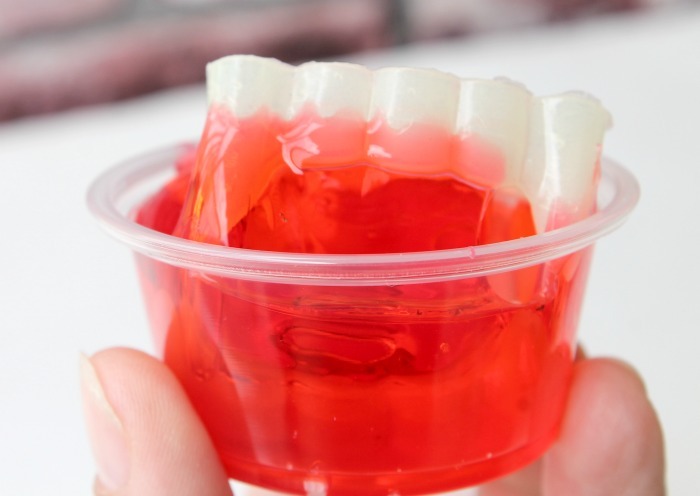 I know a lot of people like to hand out non-candy halloween party favors and this vampire slime is the perfect halloween candy alternative. 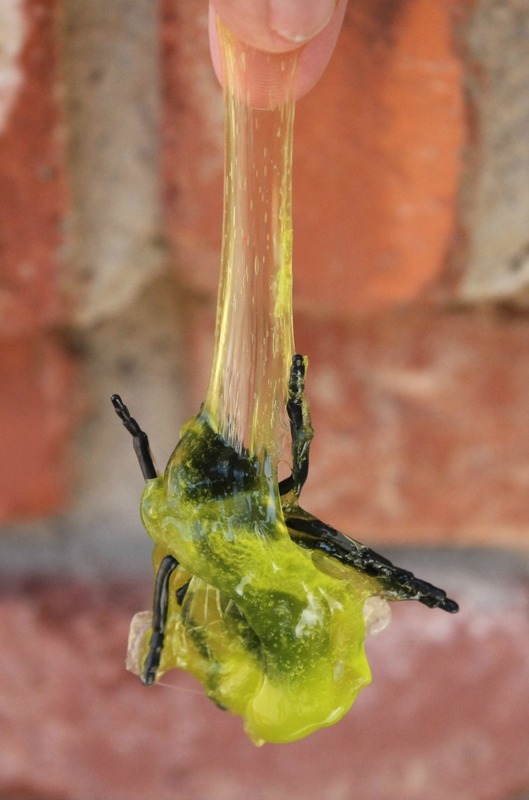 You just need a few things to recreate this fun Halloween slime. 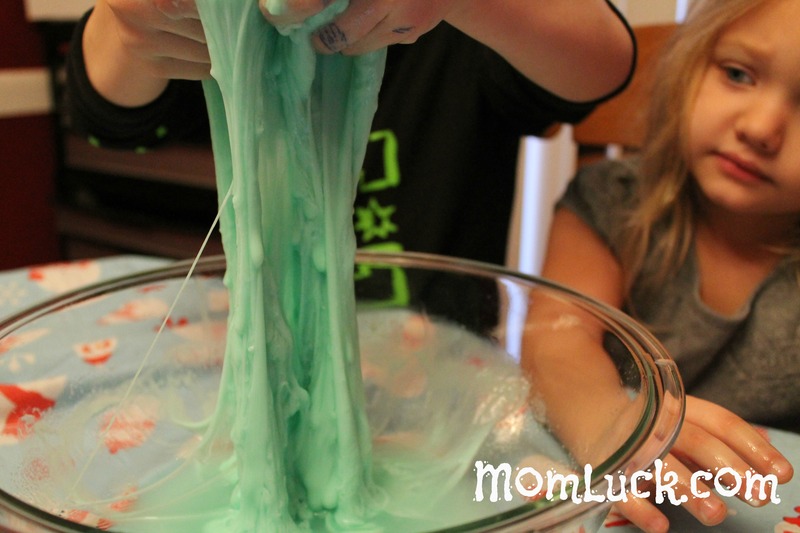 Halloween is the perfect time for making fun and GROSS crafts like Halloween slime. There are so many different ways that you can make slime. And the best part about making Halloween slime is the grosser it is the better. 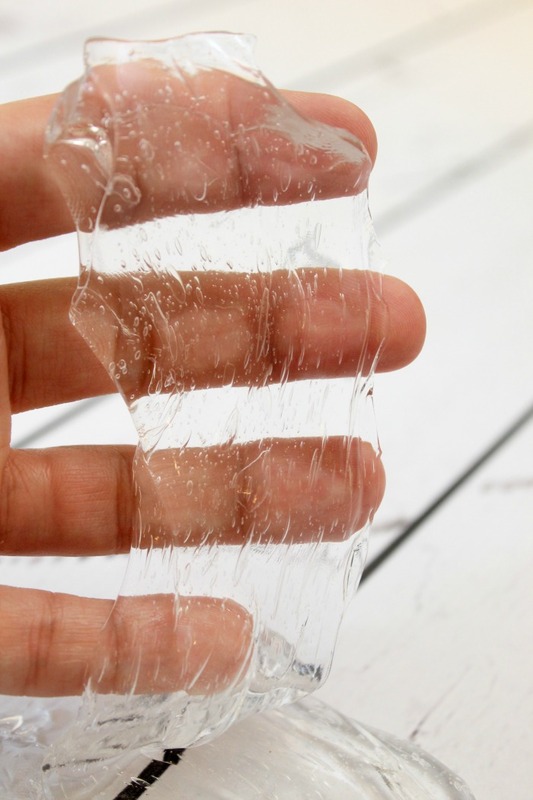 Clear slime is one of my favorite slime recipes to make because it just looks so neat. 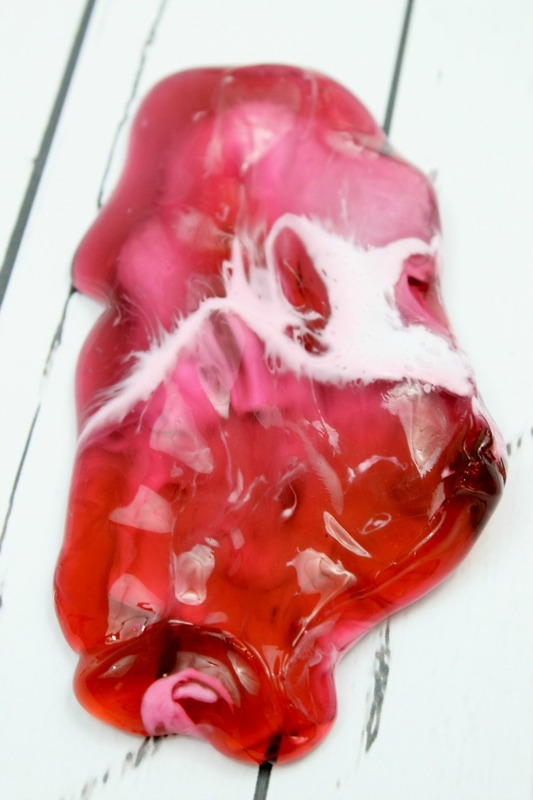 Once I made this clear red slime I knew that it would make the perfect base for our Vampire slime. This slime is perfect for making in large batches and handing out as non-candy party favors for your Halloween parties. Or it’s just fun to make and play with. We make a ton of slime here so if you are looking for some great slime recipes be sure to check out my fluffy slime recipes or glitter slime recipes for more ideas. Clear Glue. 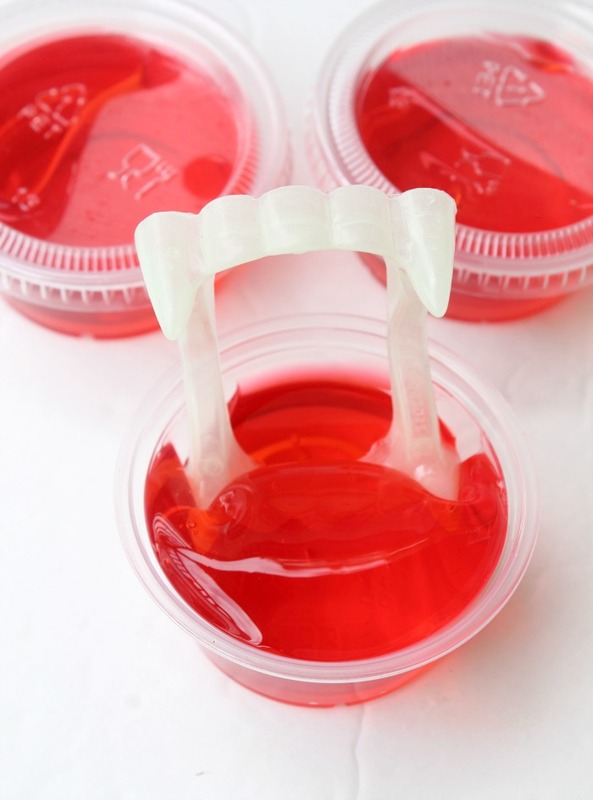 If you are making non-candy party favors then make sure you get the large container of clear glue. These are impossible to find in stores. I purchase this gallon of clear glue on Amazon. Red Food Coloring. Now any red food coloring will work but I use this special food dye which gives that dark blood red color. Borax Activator. 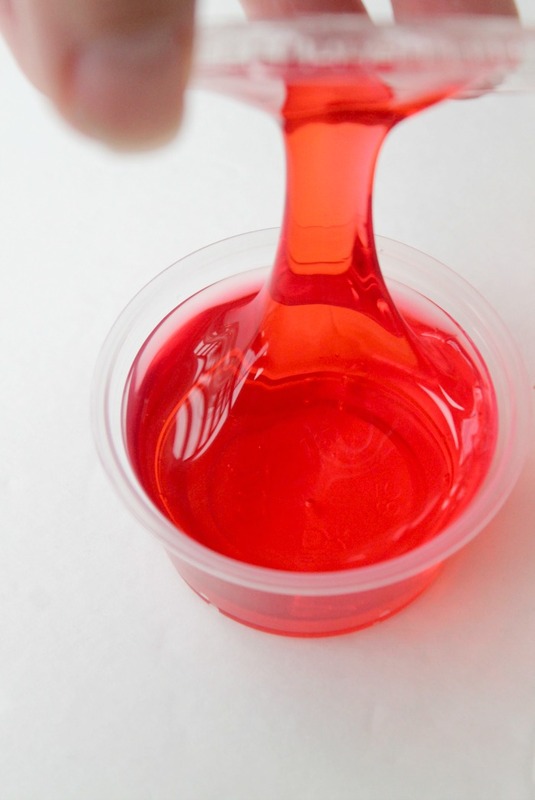 I have a very easy borax activator recipe that is perfect for making clear slime. To make this clear slime crystal clear you’ll need to plan ahead. When you first make clear slime it’s not exactly clear. You will need to let it sit for a day or two for the bubbles to release and to get a truly crystal clear color. Now let’s make some slime! First pour about 1 cup of clear glue into a large bowl. Add in 2 tsp of water. Stir together. Now add in about 2 drops of red food coloring. If you want a darker color add more. If you want a lighter color add less. Stir. Now SLOWLY add in your borax activator. It is so important that you add this in a little at a time, otherwise this slime will turn out to be hard and rubbery. Slowly add in the borax activator until the glue starts to form into a slime ball. Now you are going to take the slime out of the bowl and knead it with your hands. This is going to be messy, and the glue WILL stick to your hands. Just be patient and slowly add more activator until it’s no longer sticky. Once you’ve formed the slime. 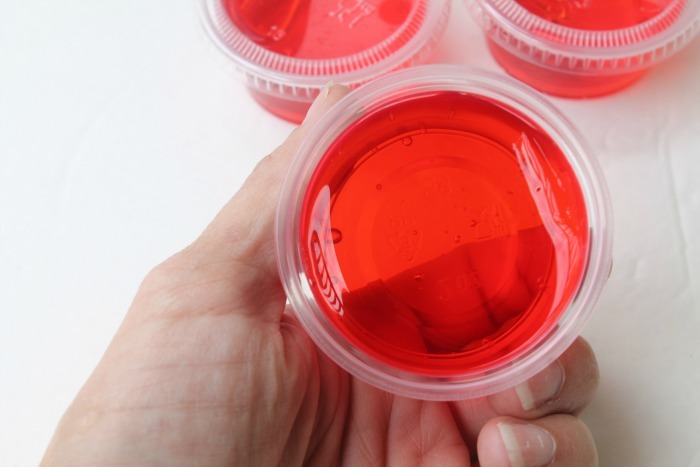 Place the Halloween slime into small air tight containers with lids and let it sit for a day or two. The longer you let it sit the better. These are the slime containers that I used. 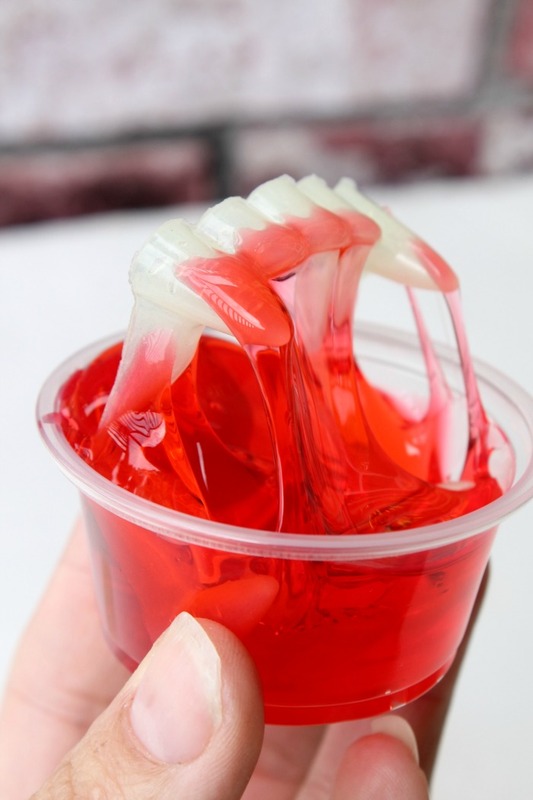 Now you could just hand these Halloween Slime party favors out just with the slime, but to add even more fun why not add some Vampire teeth! 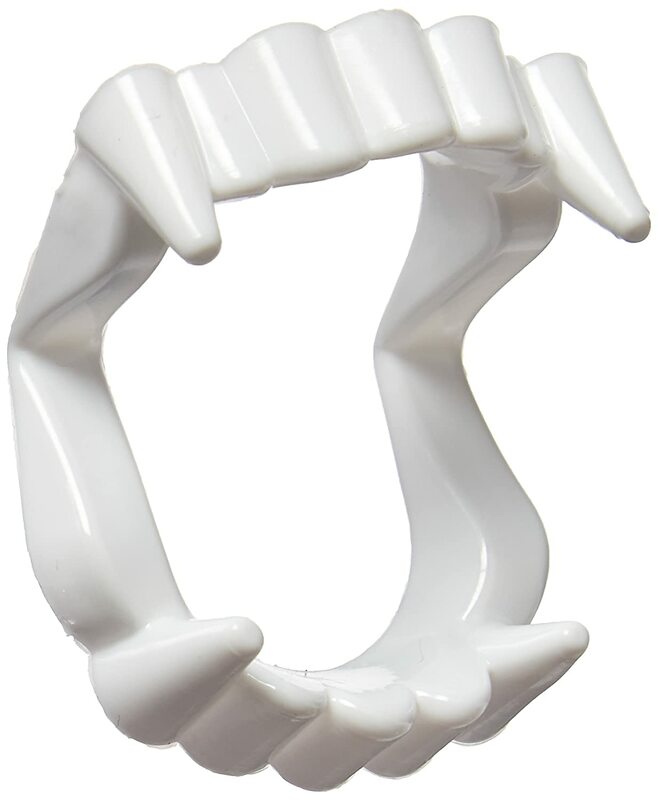 You can find plastic Vampire fangs in pretty much every store around Halloween. I ordered mine online and saved the hassle of fighting the holiday crowds. If you’re looking for more inspiration for Halloween Slime recipes I’ve got you covered! Here are some of my favorite slime recipes that are perfect for Halloween and non-candy party favors.